Mac users can now download the first episode of Doctor Who: The Adventure Games. The first of four planned episodes, City Of The Daleks will see the Daleks invade ’60s London and eradicate mankind. The episode can be downloaded from the BBC website. Van Gogh died in the end of July 1890 so the episode should be set about two months before his death instead of a year. His ear was already cut off in 1890 as the self portrait with the bandaged ear dates 1889. Both the “Sunflowers” and the “Bedroom in Arles” were painted in 1888, two years before when the episode is set but in the episode he still hasn’t painted the sunflowers and the bedroom painting is mentioned as “still wet”. 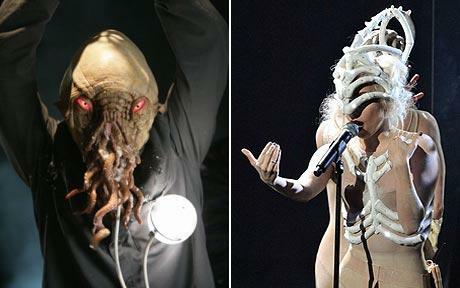 Lady Gaga is reportedly being lined up to star in Doctor Who. Lady GaGa recently ordered ghostbusters to get rid of ‘evil spirits’ on tour. 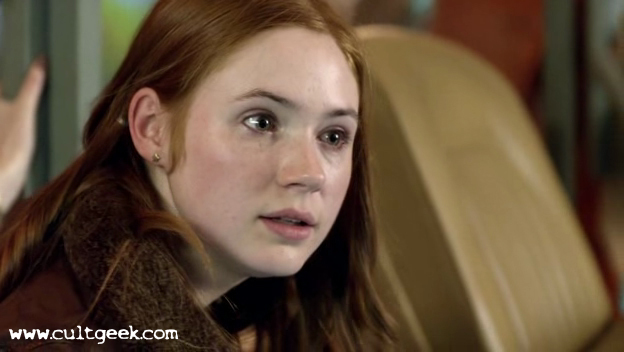 Karen Gillan has warned fans that the upcoming finale of Doctor Who is emotional and that viewers will need “tissues”. She refused to reveal too many details about the episode but teased: “I’m going to say the word ‘horses’ and that’s it.” Gillan also admitted that the episode had been one of the hardest to film. Karen Gillan has also revealed that a fan once proposed to her and explained that she is still getting used to her fame. However, she admitted that she has been surprised by fans in the past. DW: The Adventure Games, One Week to Go! So, here we are, with a week to go before release of ‘City of the Daleks’. This week I played through the game many times, looking for minor tweaks that could be made – and then agreeing with the teams at the BBC and Sumo what could and what could not be changed. Clearly nothing could be done which could threaten the release date. And on Wednesday I had to stop, to let the final testing and master preparation conclude without my interference. I had to let go. And now I wait nervously. I am really pleased with how the game plays – I just hope that the people that matter, namely you, agree. The great thing about the internet is that feedback is immediate and frank – which is incredibly valuable, if brutal at times. The whole team has been working so hard in these last few weeks. This is know as the ‘crunch’ period and lasts until the game is mastered. Crunch seems to be an inevitable result of game development – we try to schedule to avoid it, but never succeed in doing so. People are so passionate about the project and want to do everything to get the game as good as possible. A small bonus is that those that work late nights at Sumo do get treated to a takeaway dinner that they then eat at their desks. Personally I prefer the food from the Chinese takeaway over that from the Indian takeaway – but, frankly, the focus remains firmly on the game rather than paying too much mind to the culinary experience. Visually the game looks stunning. A few weeks ago I had the pleasure of voice directing Matt and Karen – we were recording the lines for a later episode, and they were thrilled to see how they look in their virtual environment. They were both really enthusiastic – it was such fun. Steven Moffat will be given a copy of the final game in the next day or two. Steven is quite a gamer – he liked what he saw when he played the alpha version. I really hope that he is pleased with the final product. I am sure he will be – the stealth / adventure hybrid conveys the essence of Doctor Who in a very dynamic and exciting way – the way that games can. The wait is almost over. Although, of course, while ‘City of the Daleks’ is locked, there are still three more episodes in development. The Chinese and Indian takeaways of Sheffield need not fear that their orders will drop for many weeks to come.